Guests enjoy dancing; live DJ’s, trivia, games, events and contests during events every day from 4 - 10 p.m. (Pacific). 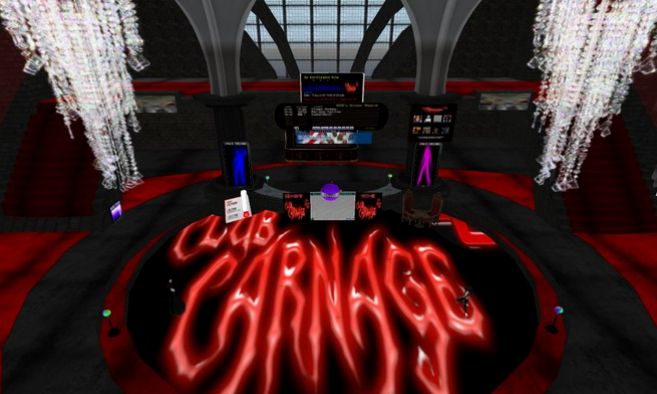 Club Carnage has been in Second Life since Dec 2005 in a market where clubs are here today, gone tomorrow. A committed and professional management team and staff keep the club crowded, entertained and returning night after night.